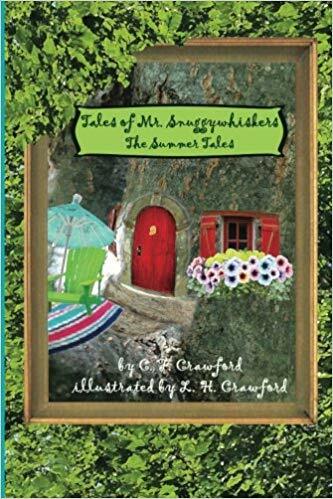 Tales of Mr. Snuggywhiskers: The Summer Tales, by C.F. Crawford is the fourth installment in the Mr. Snuggwhiskers children’s book series. In this book, sisters Hallie and Cory are determined to reunite Mr. Snuggywhiskers with his long-lost parents. When the girls discover their mother has been invited to attend her class reunion, they persuade her to take them along. Of course, the two have an ulterior motive and their plans include finding Cap’n and Helen Snuggywhiskers along the way. As with previous books in the Mr. Snuggywhiskers series children are introduced to a delightful world, in miniature, in which a family of mice prospers. There’s never a dull moment when these bright and inquisitive mice are in tow. Adventures abound and imaginations will flourish as children delight in this fanciful children’s book which is recommended for home and school libraries and has earned the Literary Classics Seal of Approval.